Propolis Extract is a combination of beeswax, enzymes and tree sap used by bees to seal, disinfect and waterproof their hive. It’s additionally excellent for the skin, implemented to heal wounds for centuries. Rich in flavonoids, propolis displays powerful antibacterial, antifungal and antiviral properties. It works to regenerate and moisturize, achieving smooth, supple and hydrated skin. It also assists to balance facial oils so is a good treatment for acne. 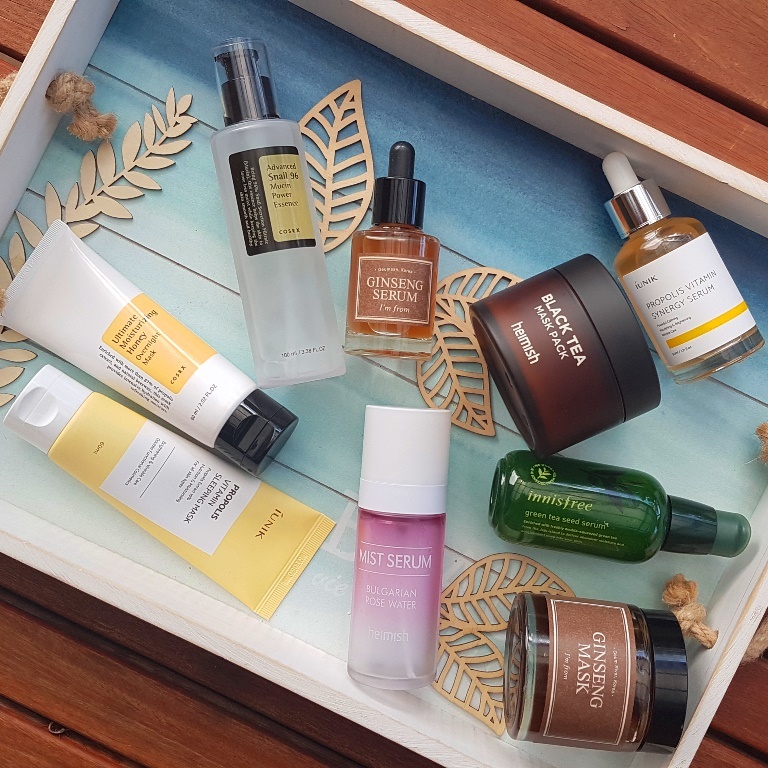 It’s used in a wide range of skincare products from sleeping packs such as the Cosrx Ultimate Moisturizing Honey Overnight Mask (87%) to serums like the iUNIK Propolis Vitamin Synergy Serum (70%). Both boast a huge hit of the ingredient to deliver abundant hydration plus effective soothing, balancing and softening effects. 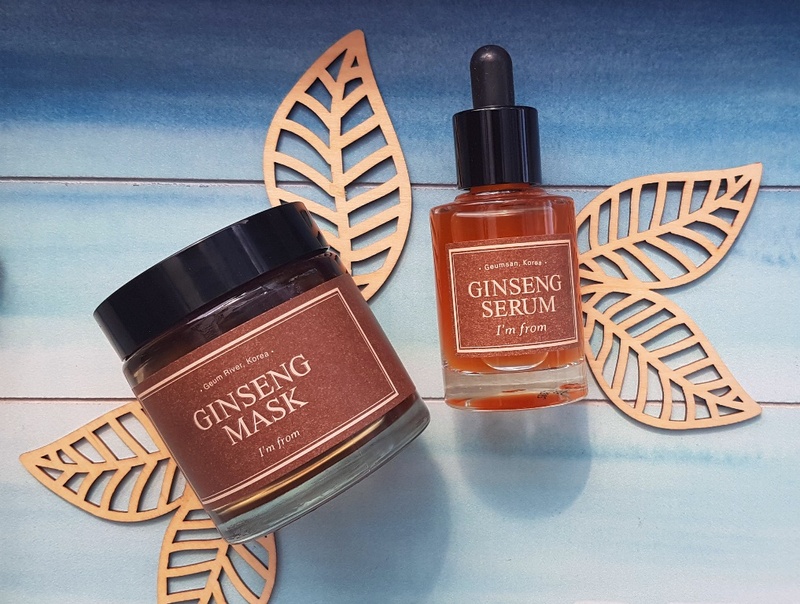 Ginseng is another superstar of the Korean skincare world with proven healing capabilities. Potent antioxidants accelerate cell regeneration and boost skin firming collagen to fight the signs of ageing. It also improves blood circulation which in turn results in a brighter complexion. 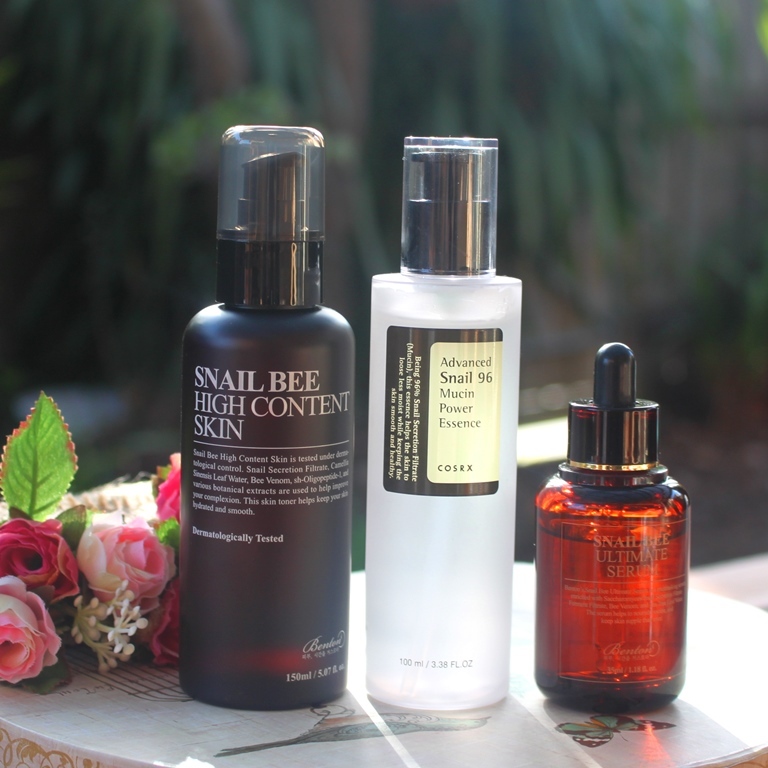 The first thing that pops into most people’s minds when they consider Korean skincare is snail mucin! This is basically the slimy fluid secreted by snails which surprisingly has incredibly hydrating and anti-ageing effects to really improve skin water content as well as ease scarring and wrinkles. From a textural perspective, products high in snail mucin generally exhibit a unique stretchy consistency. Benton’s Snail Bee High Content Essence is a cult favourite, packed with 90% snail secretion filtrate to deeply nourish, hydrate and improve skin tone. 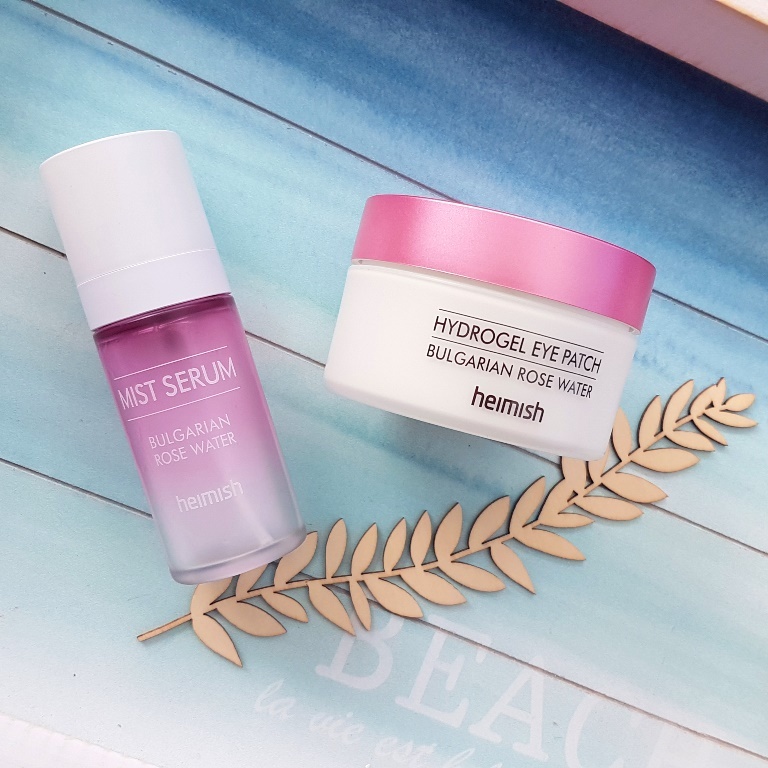 Coupling 70% snail secretion filtrate with bee venom in their Snail Bee Ultimate Serum, Benton delivers a multi-tasking product to improve skin tone and wrinkles. Much loved, the Cosrx Advanced Snail 96 Mucin Power Essence contains an impressive 96% snail mucin as the name suggests, for intense hydration and repair. A rich source of amino acids, beta carotene, fatty acids and phytochemicals, Centella Asiatica (cica) offers a wealth of skin benefits. Cica is the queen of soothing ingredients. It’s a superstar acne treatment as it displays strong anti-inflammatory behaviour that can speed up the healing process, reduce acne blemishes and prevent scarring. Additionally, it’s a competent anti-ageing ingredient which helps to improve elasticity and the synthesis of collagen while also serving as an antioxidant to protect against free radicals. Centella Asicatica is often present in creams and spot treatments although it appears in all types of soothing skincare including masks. 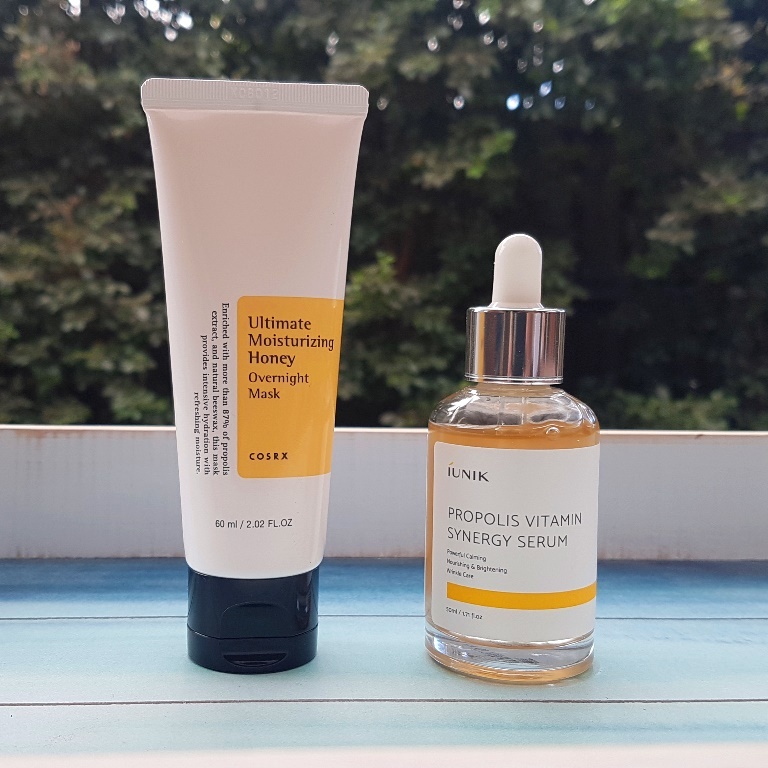 The iUNIK Propolis Vitamin Sleeping Mask features cica alongside propolis to help establish a sense of calm and to soothe troubled skin in an overnight treatment. 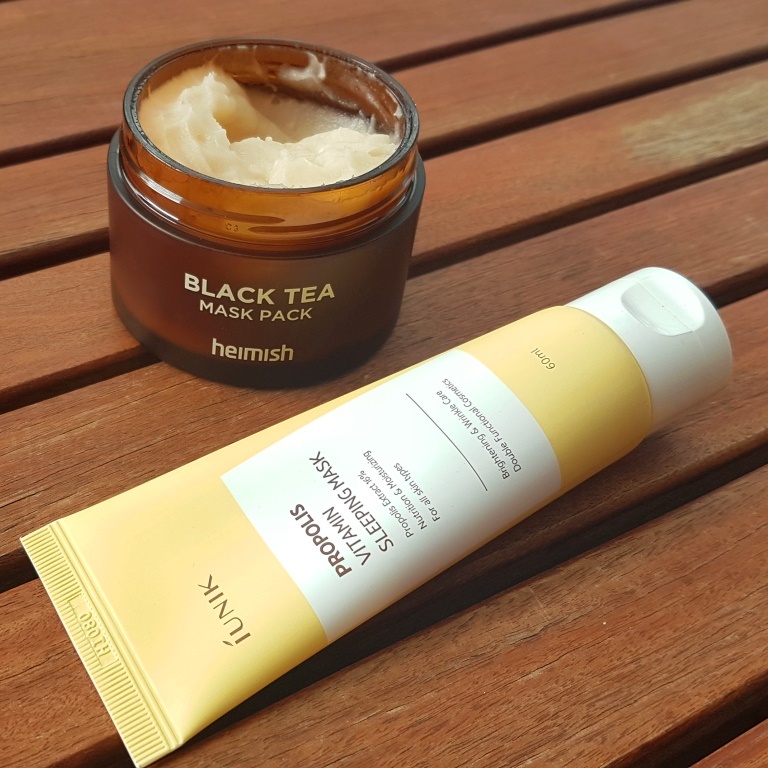 Boosting elasticity and nourishing the skin, the Heimish Black Tea Mask Pack uses cica to achieve a healthy and glowing complexion. 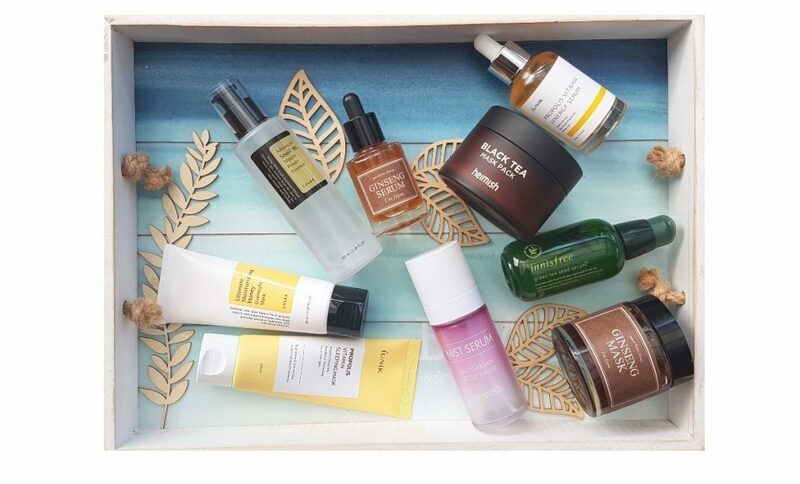 With their most iconic product, the Green Tea Seed Serum, Innisfree provides a vehicle to clear, dewy skin that is well hydrated and strengthened. 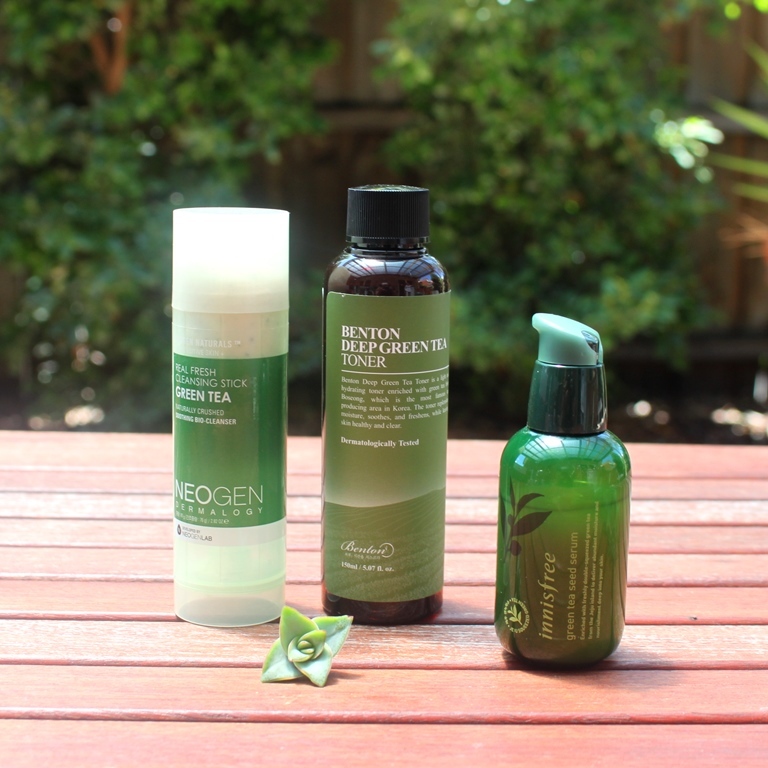 A more recent addition, the Benton Deep Green Tea Toner uses the ingredient similarly while also including cica for soothing, sebum control and hydration. Real green tea leaves are embedded in the Neogen Green Tea Stick Cleanser to achieve gentle exfoliation in a product designed to achieve a low pH clean that safeguards the skin barrier. Rosewater is simply water scented or distilled with essential oil from the Rose plant. It exhibits soothing, cooling and anti-inflammatory properties, ideal for sensitive skin or that suffering acne, redness or irritation. It seems to be the flavour of the month, popping up everywhere. With a huge 88% rosewater content, the Bulgarian Rosewater Mist Serum provides refreshing moisture throughout the day while also feeding skin with vitamins and vital nutrients. 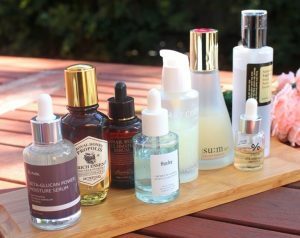 Skincare trends certainly come and go, but these ingredients are staples in Korean circles. With proven applications and medicinal history, their longevity is never in doubt. Korean skincare is available at April & Ko.